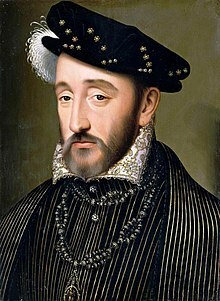 On June 20, 1559, King Henry II of France engaged in a jousting tournament when his opponent’s lance pierced the face guard of Henry’s helmet, sending splinters into his face, eye, and brain. Henry died of his injuries on July 10, 1559, becoming another casualty of the dangerous sport of jousting. Practiced in Medieval times for armored knights to hone their war skills, these knights on large, powerful armored horses would charge each other head on with lances in an effort to unseat their opponent, at a closing speed of perhaps 50 mph (estimated by the author). The armor worn by jousting knights weighed around 110 pounds, double that of the armor worn in combat. In 1292 the blunt tip “Lance of Peace” was instituted to lessen injuries. Jousting quickly became a form of entertainment as well as training, though after 1520 with the advent of the musket, the sport became purely entertainment and lasted through the reign of Queen Elizabeth I of England. In modern times, the sport continues as entertainment, and recently, as a competitive sport, with the object no longer to unseat an opponent, but to break your own lance against the opponent’s shield. Probably brought to England by the Normans in 1066, jousting was outlawed by King Henry II of England (r. 1154-1189) but reinstated by his son and successor, King Richard I of England. Here are a few of the many people killed or seriously injured while jousting. (Note: The synonym “Tilting” came to be around 1510.) Tell us if you know of other notable jousting incidents. 1. King Henry II of France, 1559. Catching the lance tip of opponent the Count of Montgomery in his face, Henry got a large splinter through his eye and into his brain, causing his death 10 days later. The anguished Montgomery begged Henry to have Montgomery’s hand and head cut off, but Henry refused. This incident saw the end of jousting in France. 2. King Henry VIII of England, 1536. Unlike the popular image of this monarch as a giant fatso, Henry was trim and athletic when he was unhorsed during a jousting tournament and suffered a serious head injury, possibly causing brain damage that may have changed his personality for the worse. Henry also suffered a serious leg wound that never healed, remaining an open ulcerating sore the rest of his life, ultimately killing him 11 years later. 3. Gabriel de Lorges, Count of Montgomery, 1559. Although not technically injured in the joust that resulted in the death of King Henry II of France, the wife of Henry, Catherine de Medici, held a grudge against the Count and saw to it that he was beheaded in 1574, an indirect victim of jousting. 4. 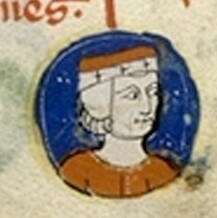 Geoffrey Plantagenet II, Duke of Brittany, 1186. Somewhat of an unpopular despot, Geoffrey was known to raid monasteries and churches to finance his escapades, making him a disliked character. He suffered being trampled to death by his own horse when unseated during a jousting match, causing his father, King Henry II of England, to end jousting (temporarily) in England. 5. John Dunbar, Earl of Moray, 1390. A fighting Scotsman, the Earl had fought the English bravely, only to die during a tournament. 6. Leopold V, Duke of Austria, 1194. A veteran of the Third Crusade, Leopold was training for a new Crusade when his foot was crushed by his horse when he was unseated during a tournament. Although he had his foot amputated, Leopold soon died of gangrene. Remains of a knight unearthed at Hereford Cathedral in Western England in 2015 revealed healed fractured bones and several unhealed fractured bones, believed to have been caused by jousting injuries. The fractures suffered by this unnamed noble (so they think) are consistent with jousting injuries. A fill-in for the taping of a jousting re-enactment for a television show in England, Allen was killed by a splinter of his opponent’s balsa wood lance passing through the (later determined too large) vision slit in his helmet, entering Allen’s eye and piercing his brain.